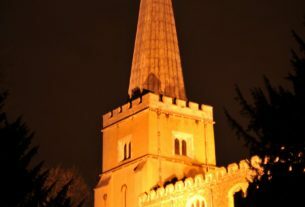 Amidst the headstones and the grass of St. Mary’s garden, beside the path that runs past the church, there’s a particular gravestone that you may have walked past dozens of time before without pausing to give it even a passing glance. I, for one, certainly have. But if you might, you will find the above poem, marking the grave of one Thomas Port. Port’s story – or rather, the story of his death – is an interesting piece of local, and in some ways national, history. 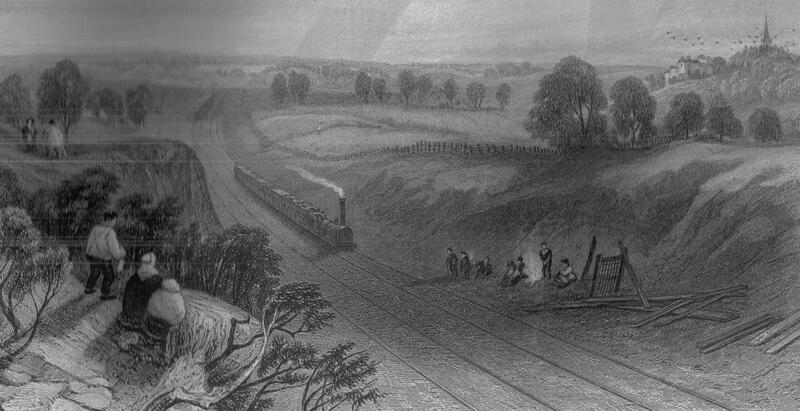 In the early August of 1838, Thomas Port, whilst working as a guard on the London to Birmingham railway, was on board one the trains that ran this railway, and, as the train made for Harrow, Port himself was making his way through the train, passing through the carriages, checking each ticket as he did. This was Thomas Port’s particular job as a guard – carrying out ticket checks to ensure that first and second class passengers were seated in the correct areas of the train. It perhaps doesn’t seem the most noteworthy of occupations, but it was while carrying out this task that Port met his sudden end. He was crossing between the carriages when it happened. One slip of a foot, some two miles outside of Harrow, was all it that it took. Tripping and falling, Thomas Port found himself in an instant on the tracks beneath him, the train which was travelling at some 30mph now above, rolling on. As was reported in the coroner’s inquisition held the following Saturday (and anyone who doesn’t like gory details will probably want to skip this bit), Port’s foot at this stage slipped in between the wheels of the train, resulting in, as the wheels passed over and over, his legs being slowly dragged in, inch by inch crushing them – one as far as the knee, the other above. His legs mangled, Port was left immobile on the tracks. The train was brought to a stop as one of the other guards saw his fall, and Port, barely alive, was attended to by two doctors who had been on board the train. What little could be done by the two doctors was given, and then Port was put back onto the train and taken to Harrow for emergency care. His legs crushed and beyond repair, doctors were forced to completely amputate Port’s legs. It was to be in vain though. Three hours after the accident, Port died from blood loss; to be buried in the churchyard of St. Mary’s, where he can still be found to this day. With railroads still being a recent development in the seventeenth century, Thomas Port’s death was a stark indicator of the risks of railway travel, and what the powerful locomotive would do if anyone was unfortunate enough to be caught under it. Although, in the inquest that followed, the jury reported that they felt the role Port had been carrying out – especially whilst the train had been travelling at full speed – was too dangerous, the verdict was all the same that it had been an accidental death. Nonetheless, Port’s death would serve, in combination with the others that began to mount, to highlight the risks, and the necessary precautions needed, in railroad travel. 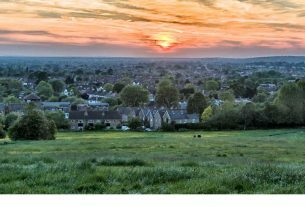 It’s another hidden titbit of Harrovian history, and that, unlike last week’s pagan roots, is still readily visible in the borough. So maybe the next time you’re on the old hill and in the churchyard, why not give a visit, and perhaps a thought, to Thomas Port – one of the first people to have died to a train accident – and to the macabre poem that marks his headstone: forever an ominous reminder of the railroad dangers, and of the grisly repercussions they can entail. 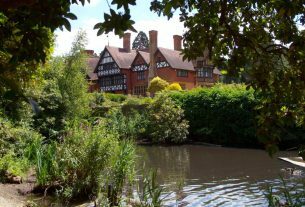 Secrets of Grim’s Dyke: Playwrights, Romans, Spies?